Product information "DHC-2 Spray n' Play Expansion Pack"
Take your Beaver even further! Venture out on new adventures or dive in and get your hands dirty with our Spray n' Play Expansion Pack for the MilViz DHC-2 Beaver! 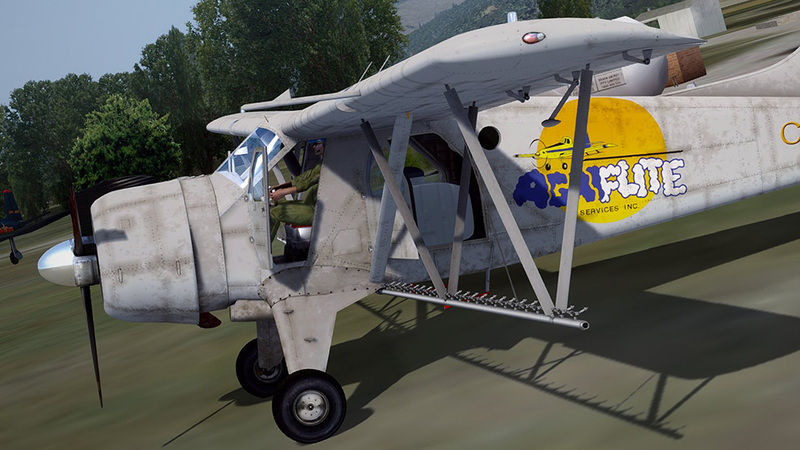 This expansion pack adds a STOL wing modification kit, straight floats, and a agricultural-focused model with a completely functional crop duster. If there's one thing that all DHC-2 Beavers have in common, it's that you'd be hard-pressed to find two of them closely alike. When you're considering an aircraft that's been used for nearly every hard working aviation purpose imaginable for nearly 7 decades, it's not difficult to imagine why. Each airframe still flying today has a rich heritage that can be traced back through countless pilots and a variety of roles. Same great aircraft... now just more of it to enjoy! Related links to "DHC-2 Spray n' Play Expansion Pack"